"Airel" finishes her Championship in a big way!! 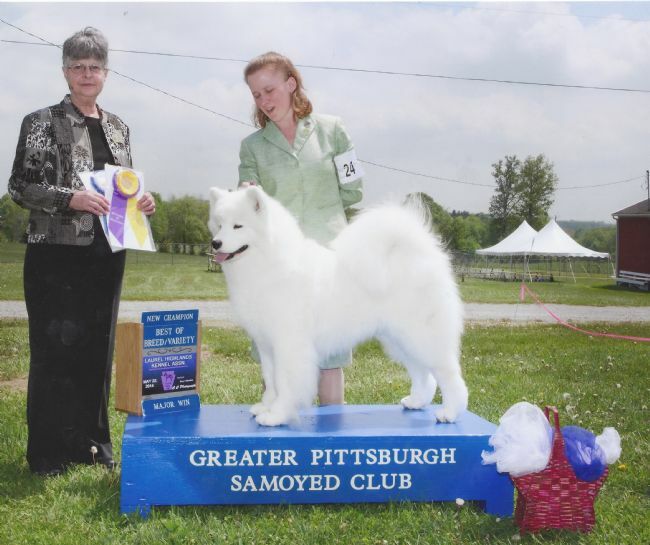 "Airel", White Magic's She's Like the Wind finishes her Championship in a huge way by taking Best of Breed at the Greater Pittsburgh Samoyed Club Supported Entry over multiple Champions! !